Kate Yancey grew up a country girl riding horses in Colorado. After college she spent 7 years in Alaska where she took up adventure racing, backcountry skiing, ice climbing, and then parenting. 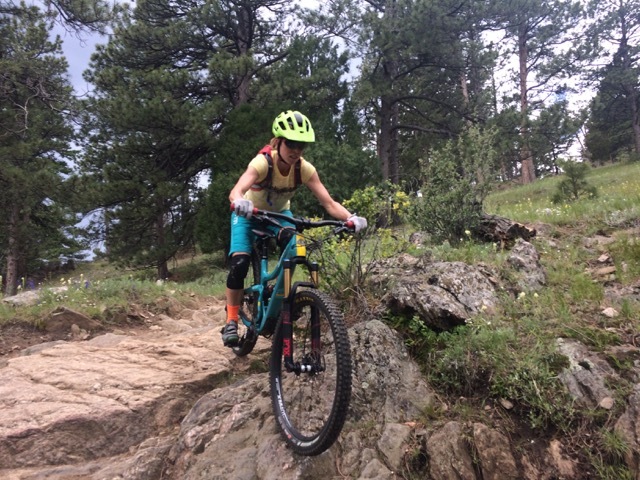 Moving back to Colorado with a family meant prioritizing outdoor adventure and it was back in the saddle again, but this time on mountain bikes. Kate believes many of the skills used on the trails translate to real life (vision ahead, plan your next move, relax and roll with it). She also believes that nature bathing on a bike is healthy for the person and the planet. Kate is an avid rider and extremely passionate about empowering women. She’s a mother of two girls ages 8 and 10 and works as an engineer in the energy industry.